Hollybeary Creations : YNS January Sneak!! Happy Saturday everyone!!! Are you ready for a new Release from Your Next Stamp? Today the team are sharing lost of sneaks at the Fun new products that will be released tonight at 10pm est. And be sure to join us at 10pm for our Blog Hop and a chance to Win! 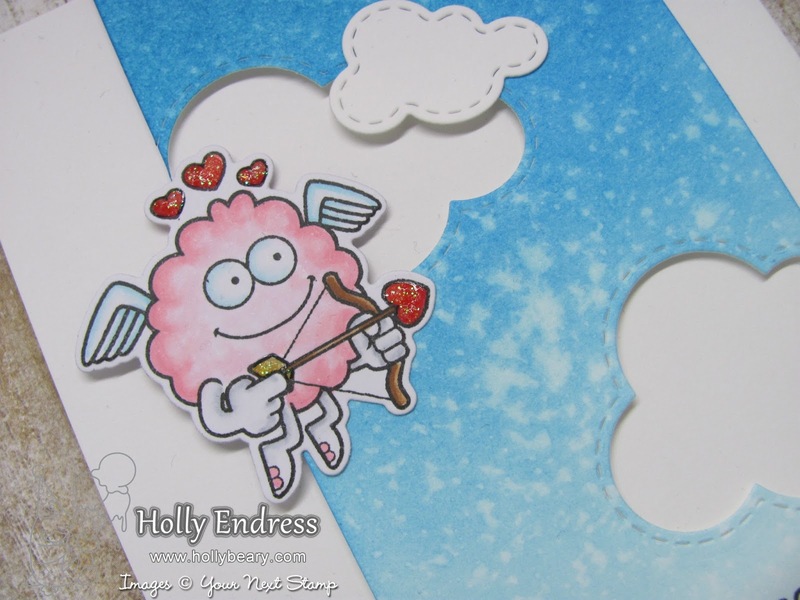 I'm sharing a peek at the new Silly Love Monsters Stamp and Coordinating die set. I added some Salty Ocean Distress ink to a piece of Watercolor paper and then I added a few splatters of water and dabbed it up with a paper towel. Once the panel was dry I die cut the Stitched Puffy clouds out of the panel. I stamped the sentiment in YNS Black Olive ink and adhered it to a White card base using some foam tape. I stamped the silly monster using the Black Olive ink as well onto some X-Press it blending cardstock and colored it in with Copics. I used the coordinating die to cut him out and I adhered it to the panel with some foam tape. I added some Tonic Nuvo Drops in the Clear Glitter on parts of the image for dimension and sparkle. So CUTTTTTTTEEEEE!!!!! You don't want to miss this release!!! 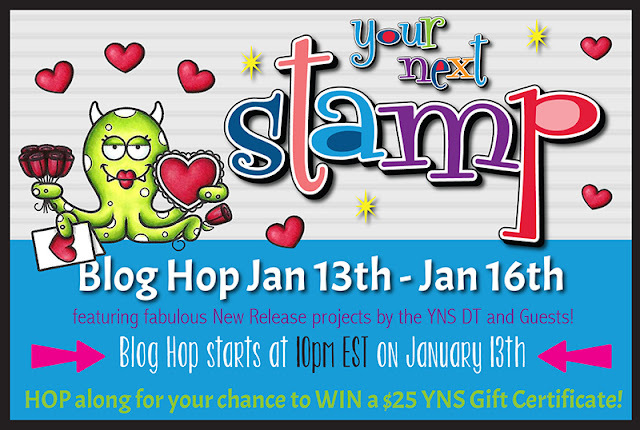 Head over to the YNS Blog for a list of all the DT blogs for more sneaks and join us at 10pm for the full reveal and hop!! So adorable and genius Holly! I love the clouds! love the cute monster! !Sweet card! I LOVE this little monster! Adorable! Very cute! Love how you designed this card.